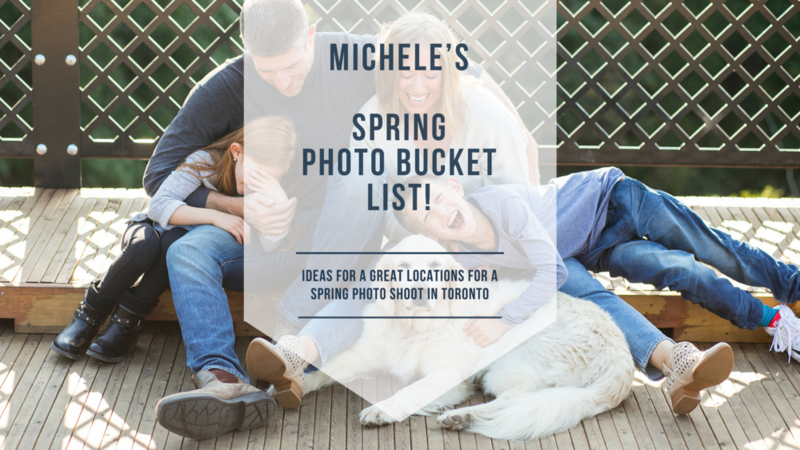 MICHELE'S SPRING PHOTO SHOOT BUCKET LIST!!!! Spring Bucket List in Toronto! YES! I am writing it, my spring bucket list in Toronto, even though the snow comes up to my waist in my front yard. Every season I think of all the amazing places and things I would like to like to photograph and this season is going to be no different. High Park Cherry Blossoms- I don’t know why I have not planned a photo shoot here yet, but this year, I am want it on the books! Casa Loma- Who doesn’t want to feel like a princess? This gorgeous background will make anyone feel regal, plus the view of downtown Toronto looks is perfect from the top of the stairs. Graffiti Ally- If you are looking for that urban backdrop this spring this is your spot! Sugar Beach- This man made beach is perfect year round. I have been dreaming about these pink umbrellas all winter! Let's plant something green for Earth Day! Train Museum- this has been on my list for years. I think because my son was a huge Thomas fan! Still one of my favorite places to go and explore. A Blue Jays Game- Who doesn’t love the Blue Jays! Let's get a beer, hotdog, popcorn and watch the game. Riverdale Farm- Lets go see the baby animals together. Allan Garden Conservatory- this beautiful conservatory is a gorgeous backdrop anytime of year. The Bentway- I have to admit that I am a sucker for the urban setting. What is on your spring bucket list? Let's go for a bike ride, plant your garden, fly a kite, go for a picnic, dance in the rain, or eat your first icecream together!! Email me with some suggestions! I love exploring new places in Toronto! Let's make memories this spring together. For inquiries please link below.